Preben Juhl Fabricius (1931-1984) and Jørgen Kastholm (1931-2007) first met at the Royal Danish Academy of Fine Arts in 1955. Kastholm’s experience as a blacksmith combined with Fabricius’s training as a cabinetmaker led to the creation of distinctively sculptural pieces that appealed to an international audience. 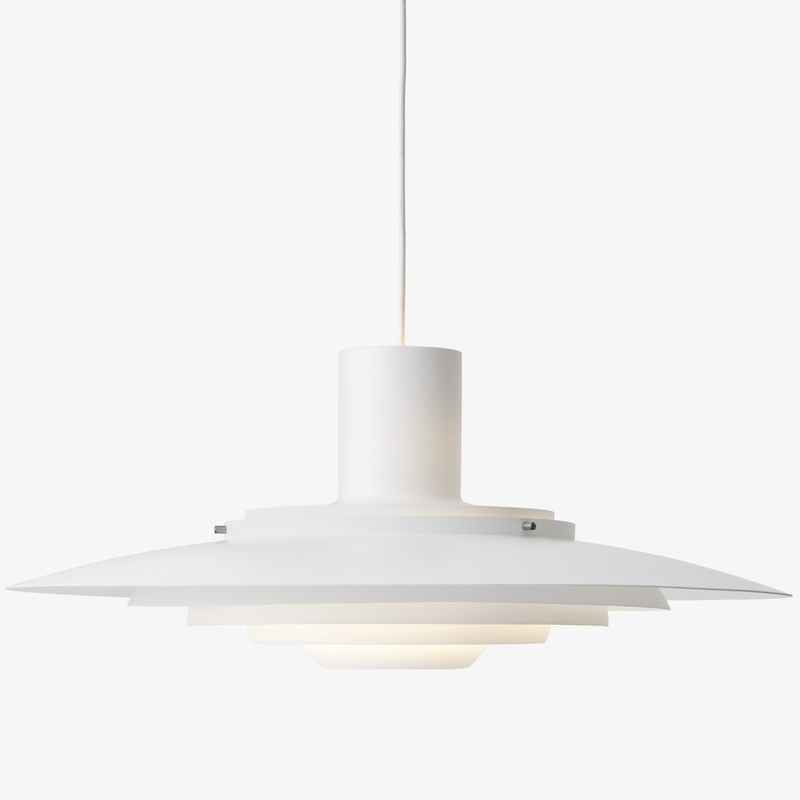 Their eight-year-long partnership was founded on the principles of perfection, aesthetics and minimisation and resulted in some of Danish Modernism’s most iconic design objects. Kastholm & Fabricius were Danish architects whose work influenced the signature aesthetics of Danish Modernism. Kastholm added his experience as a blacksmith combined with Fabricus’ training as a cabinetmaker to create distinctively sculptural pieces appealing to an international audience. 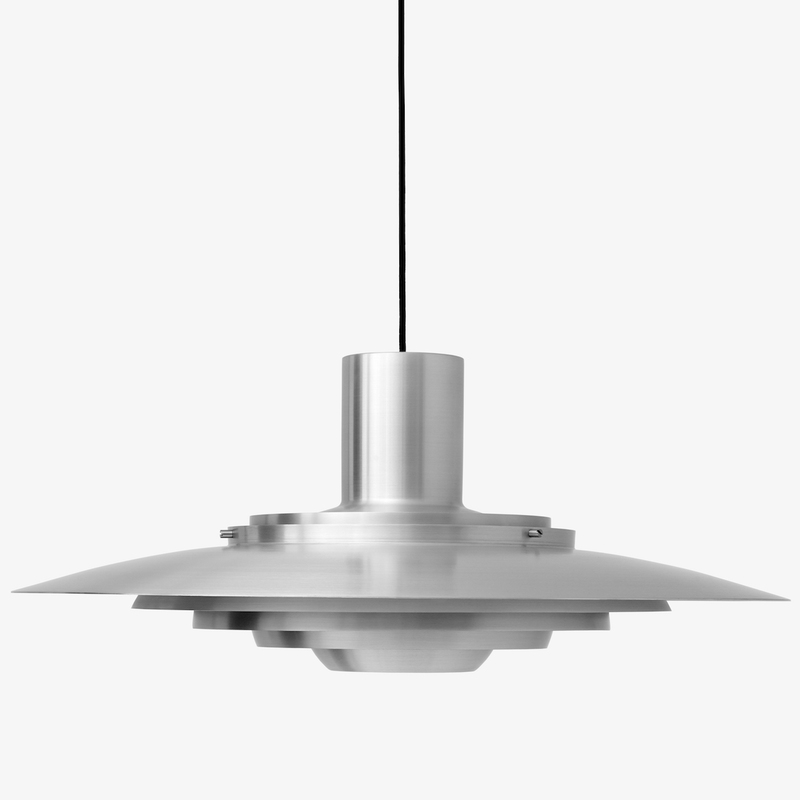 In the honour of the two architects’s work, &Tradition decided to relaunch their iconic 1963 P376 pendant lamp. Made of five concentric shades placed underneath one another, they emit a soft and diffused light.